The Margaux glass shelf adds functionality to bath and powder rooms while blending in with the overall decor. Offering a 26-inch width, this ADA-compliant shelf features a beveled edge that embodies the classic elegance of Margaux faucets and accessories. Bring the essence of Art Deco to your bathroom with Revival accessories, which incorporate elliptical shapes and rolled edges inspired by classic 1920s design. At home in both traditional and contemporary bathrooms, this three-tier shelf offers a stylish and spacious option for storing and drying bathroom towels. 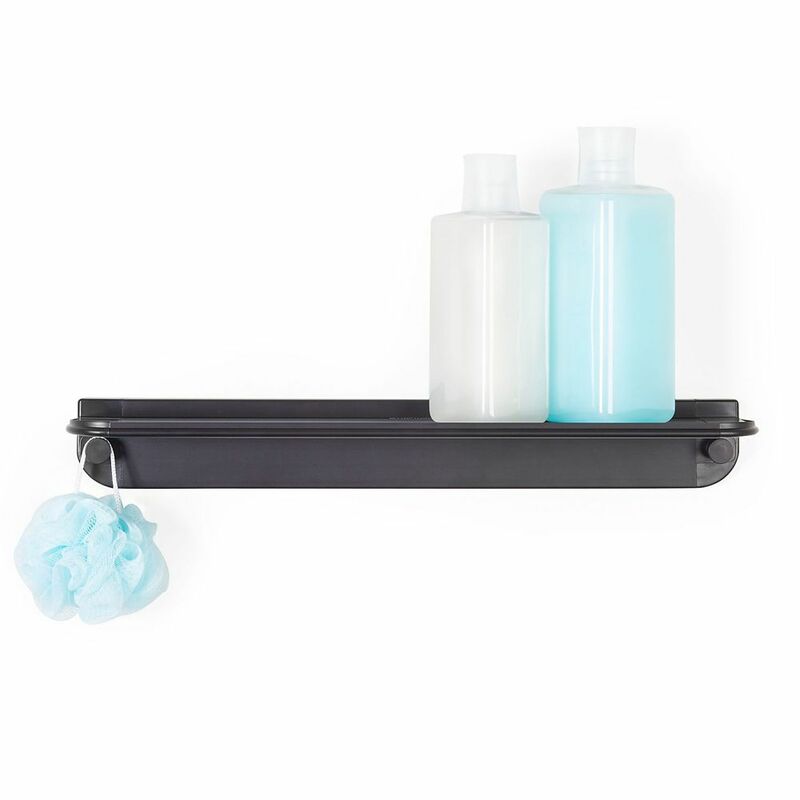 Glide Shower Shelf Black Aluminum The GLIDE Shower Shelf combines contemporary design with the strength of rust proof aluminum, and securely installs with silicone glue.